Of course I got curious about this book besides the fact I was asked to review it. A first quick browse shows you that you will be quick introduced in common terms in Dynamics CRM and later the book discussed howto with account, contact, emailing etc. What I like is that the book keeps is straight to the point. If you need to add for example a workflow its simple described what to do in clear steps. Also the illustration are simple and quickly understandable. Now you might say I am a bit prejudged about Dynamics CRM. Actually I did think that too, so I gave the book to someone completely unknown about the product. The response I got back is that the reader would like to have access to Dynamics CRM application to do the exercises. Guess that is the best response after reading the book you could get. 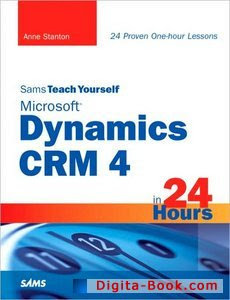 So, in my opinion the book is very accessible for people new or just beginning with Dynamics CRM. For the more advanced users or professionals it still might be handy to fill in the gaps in your knowledge or just as quick reference.